Looking for a competent Orlando domestic violence attorney? If so, the 850-CALL-JOE Law Firm can help you! If you have been charged with domestic violence or you are a victim call for your free consultation today! There are multiple charges the State of Florida can bring charges for domestic violence. For example, Domestic Violence Battery is a first degree misdemeanor charge in Orlando. A battery is an unwanted or unconsented to touching. Orange County Orlando Criminal Defense Attorney Joe Knape has handled hundreds of Domestic Violence cases in Orlando. If you need an outstanding domestic violence attorney contact Joe Knape immediately. He will work with you to get through the criminal charges levied against you with minimal penalty or interruption to your life. As your professional attorney, Joe Knape will defend your case and fight for your rights, your name and your reputation. Just dial 850-CALL-JOE. Orlando Domestic Violence charges can vary. Typically they include harm to a person or property that includes threats, attempts, and/or actual harm. These charges can range from threats of a simple assault to an actual murder; and can carry a range of sentences from the minimum sentence of probation all the way to the death penalty. Hate-motivated domestic crimes often result in the harshest punishments. Domestic Violence Battery is a common charge but also a serious offense. The State of Florida has strict laws regarding how the judicial system handles these charges. This is why you generally need a criminal defense attorney to fight for your rights. It is very important that after being arrested you have no contact with the victim. You may also wish to maintain a separate residence from the victim. Motions can be filed to allow contact and allow you to return home at a later date, but any contact before those motions are granted can hurt your case. What does it Mean to Be Convicted of a Domestic Violence Offense? A conviction for a domestic violence charge is not able to be sealed or expunged. A mandatory condition of probation is the Batter’s Intervention Program also known as BIP. This is a required 26 week program that is often the hardest part for a person incarcerated or sentenced to probation to complete. Moreover, there are costs and meeting requirements that often lead to violations of probation. If you are arrested for, or accused of domestic violence, you should contact Attorney Knape immediately. Attorney Knape will inform you of your rights and possible defenses for your case, and devise a plan for your defense. How do Courts Manage Florida Domestic Violence Cases? 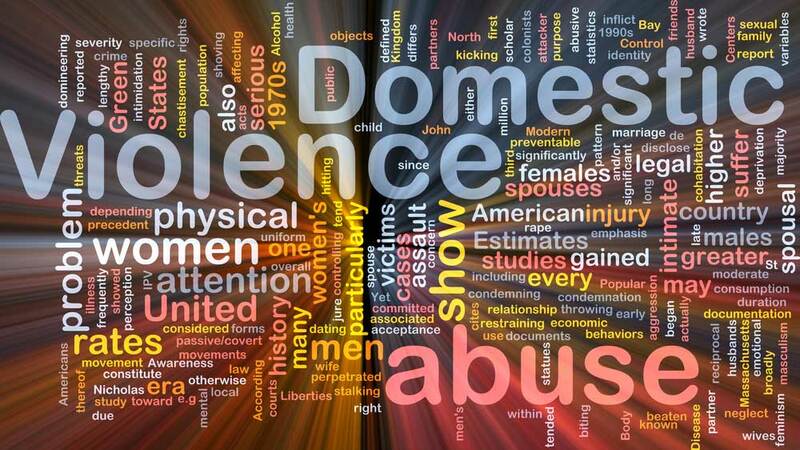 The facts of each incident of domestic violence are distinctive. The courts will analyze the unique facts and circumstances of each case before issuing a criminal penalty (felony or misdemeanor) or before issuing a preliminary injunction on the defendant (often a restraining order) or before rendering an acquittal. In order to make a case for domestic violence, courts will often require lay and expert witness testimony, medical reports, and other forms of documentable evidence to substantiate the victim’s case. In order to properly construct its case to bring against a defendant (attacker, batterer, stalker, etc. ), the State will often interview all involved parties. This is why it is important to work with a criminal defense attorney to properly contextualize and begin defending the case. If you have been arrested on charges of domestic violence, call Attorney Knape as soon as possible. He will meet you and together you will talk in private to go over the arrest, court and sentencing processes. Attorney Knape will discuss your rights, the case and your possible defenses. Based on these conversations, he will analyze the facts and build a defense plan that will best suit your case. Due to the sensitive nature of your unique case, I will handle all of our communications with extreme confidential care. Free Initial Consultation, Call Attorney Knape Today! There is no cost for the initial consultation. Dial 850-225-5563 to schedule your free consultation. The 850-CALL-JOE Law Firm offers a variety of payment plans for students and families that are strapped with a tight budget. Our telephone lines are available 24 hours a day and 7 days a week. Make the smart choice by picking up the phone and calling us so we may defend you. No case is too small. When you are charged with a domestic battery offense, hire Attorney Knape and know that when you walk into to court with a strong reputable attorney, that will aggressively fight to win your case. The 850-CALL-JOE Law Firm enjoys positive feedback from current and former clients as well as Judges and fellow lawyers. The telephone line is available 24 hours a day and 7 days a week. No domestic violence case is ever too small! Pick up the phone and dial (407) 508-7774 to schedule your free consultation today!